A recent Gartner survey revealed that 66% of CIOs and IT leaders believe blockchain will create business disruption. You may have an idea for a blockchain application you’d like to build for your business — but you’re not sure where to start. And you probably don’t have an unlimited budget (who does?) to build it. Nor do you want to commit to a long, drawn-out project. So, start small. 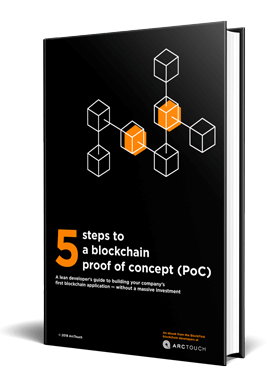 This free ebook from the ArcTouch blockchain development team offers a step-by-step guide on the process of building a blockchain proof of concept (PoC). Without spending a fortune.